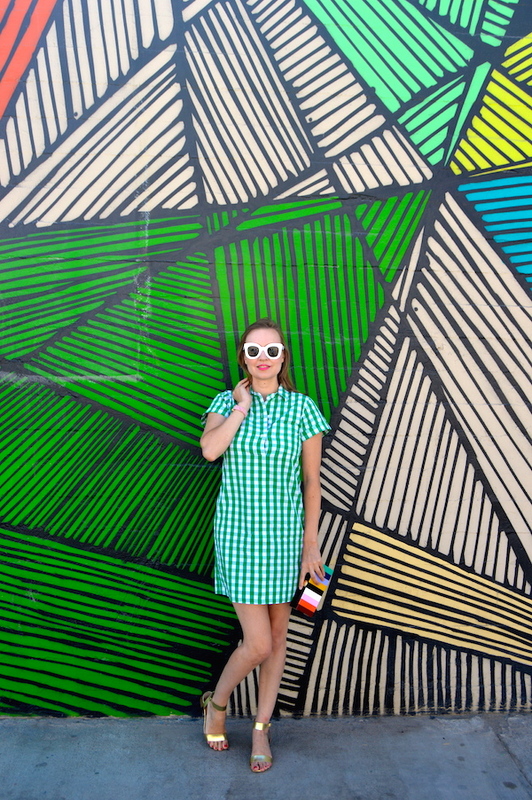 Hello Katie Girl: Shirtdresses: You Can Never Have Too Many! 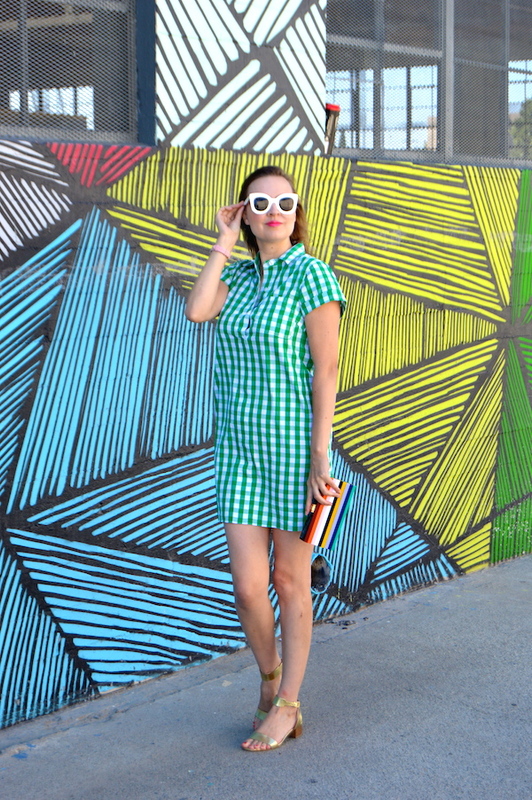 Shirtdresses: You Can Never Have Too Many! I think I might have an obsession with shirtdresses! In particular, I am obsessed with this gingham one from J. Crew Factory. 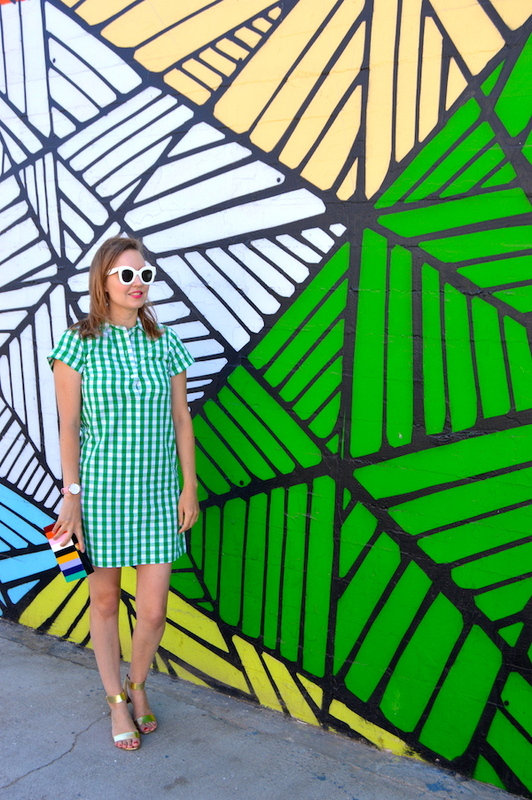 My obsession runs so deep that I decided to buy this shirtdress in two colors: green and black! I don't know what it is about the shirtdress but as a wardrobe staple, I find them to be very versatile. 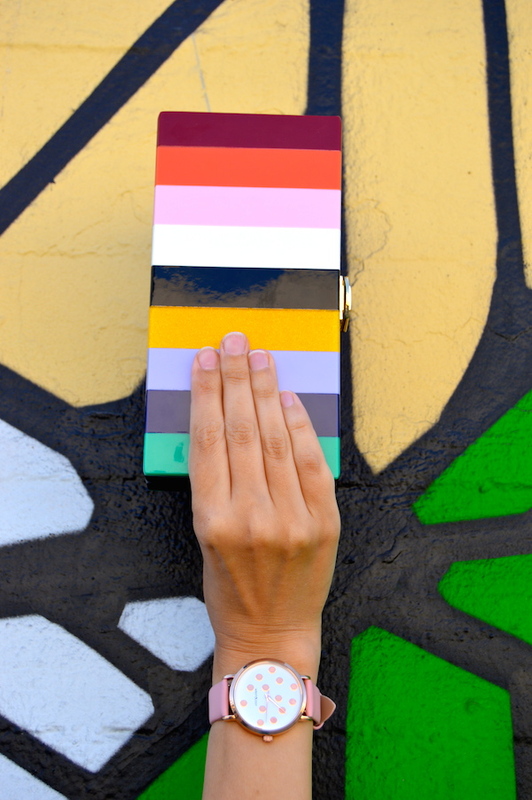 They are comfortable, classic, and you can just throw one on with a cute clutch like this rainbow Milly one and you're all ready to go! 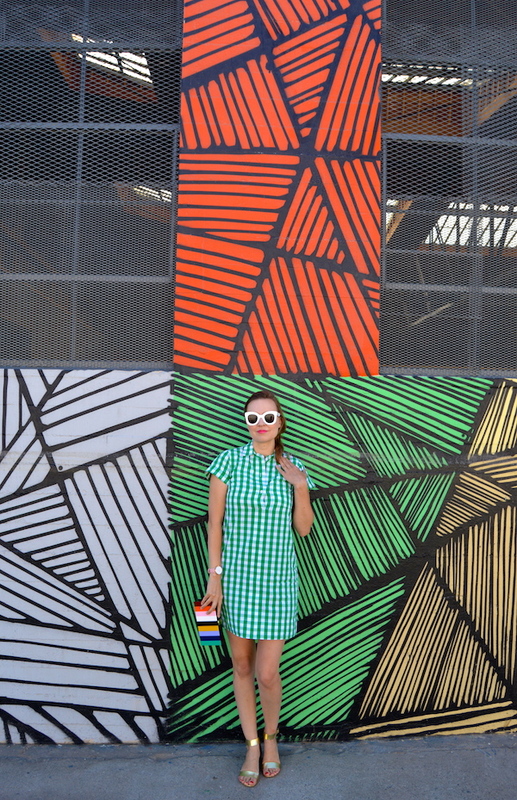 In case you were wondering, this fun geometric wall, which is the backdrop for my shirtdress today, is located in Long Beach. The wall is located alongside an auto shop and it has a cool, industrial feel. It reminds me that I still have to compile my Los Angeles wall guide. (As you can see, I am prone to not only obsessing over shirtdresses but also to procrastination!) Anyway, this fun wall will definitely make the cut when I get around putting my list together! Love this color green! Such a darling gingham dress, love the gold sandals too! 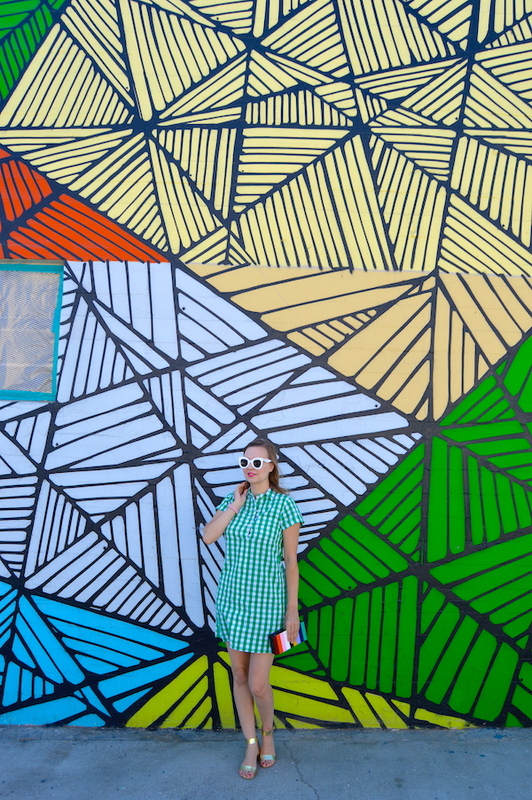 Love the green gingham! The sandals are super cute and as always the background is perfect! I love that we both have this dress! I am totally wearing it to teach in this coming week, too!! Love that clutch a ton. When you find a dress you love, you buy all the colors! This looks so cute on you! Thanks for linking up!